Christmas has come early this year for Scotland’s biggest outdoor event, with South Ayrshire Council confirming a £200,000 funding package – as well as in-kind support worth tens of thousands of pounds – for the Scottish International Airshow 2017. The funding package – the largest to date from the Council, which has been the main sponsor of the event since it began in 2014 – gives the green light for planning for next year’s event to get underway. As well as the funding and support for 2017, the Council has also committed to working with the Airshow organisers to develop a full business case for the sustained development of the event beyond 2017. Councillor Bill McIntosh, Leader of the Council, said: “The Scottish International Airshow has grown from strength to strength over the last three years and has proven to be a tremendous success, with people coming to South Ayrshire from far and wide. “As well as providing a fun and thrilling programme for all the family, it delivers some very real benefits for our people, businesses and communities, with this year’s event bringing in some £5 million for the local economy. “That’s £5 million being spent in our hotels and bed and breakfasts – which are always booked out during the Airshow – as well as our cafes, restaurants and shops, which is just incredible. “We’re very proud to be part of this exciting event and while we cannot commit to a longer-term funding package at this time – given the harsh reality of the financial situation facing all Councils – we do want to ensure the Airshow has a bright future here in South Ayrshire. “That’s why, as well as confirming funding for the 2017 Airshow, work will also get underway now on shaping what happens for 2018 and beyond. 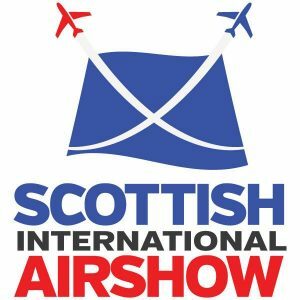 Doug Maclean, Director of the Scottish International Airshow, said: “We’re thrilled and grateful that, in just a couple of months since this year’s terrific event, the Council has confirmed – and increased – its support for the Airshow and we can now get to work on putting together the programme for 2017. “The Airshow company has invested a huge amount of money and time developing Scotland’s biggest outdoor event and we have been very happy to be in South Ayrshire. This simply couldn’t happen without the support of sponsors like the Council. It is particularly important that the Council will work with us to secure Ayr as our home for many years to come. With the 2017 funding confirmed, we will now work with our private sector sponsors and partners to design next year’s Airshow. 2017 will be the 50th anniversary of the Scottish International Airshow and we aim to make it a birthday to remember. The Scottish International Airshow will take place in Ayr on Saturday 2 and Sunday 3 September 2017.